East View Barn is a cosy thatched barn conversion in a peaceful village location boasting a vaulted beamed kitchen/living area with comfortable sofas and a living flame gas fire. Enjoy summer dining on the private terrace within the enclosed garden. Located on the edge of the village, close to a leafy bridleway and deer park perfect for walking. The property has been awarded a five star Gold Award by Visit England. Sleeps 5 in 3 bedrooms (1 king ensuite, 1 double & 1 twin). Family bathroom with shower over bath. Thank you very much for your lovely review, we very much look forward to welcoming you back again in May. All i can say about this cottage is that it was very good even though we were there on buisness not pleasure, much nicer than a small cramped hotel room. Thank you very much for your review. We hope to welcome you back again for either business or pleasure. Thank you very much for your kind review, we are glad to hear that you enjoyed East View Barn and we hope to welcome you back again soon. Out of the way but ideally situated. This was our second visit to EVB and we enjoyed it even more than the first. It did help that the weather was beautiful and this time we had the use of the garden furniture but that doesn't detract from the fact that it is a great cottage in an ideal location. We love that the location of the cottage is very private, in a small village yet only 5 mins drive to the main A road that takes you one way to Yeovil and the other to Dorchester. The main bedroom is lovely and spacious with an en-suite, all bedding is great quality which purveys a feeling of a good standard of cleanliness. The cottage has all the amenities you need, our dog is welcome there and so we couldn't recommend it enough! Thank you very much for taking the time to leave us such a detailed review, we really appreciate it and we look forward to welcoming you back soon. Lovely week at East View; great, well laid out accommodation with all amenities to make a very comfortable stay. The booking process was easy and the staff delightful to deal with. 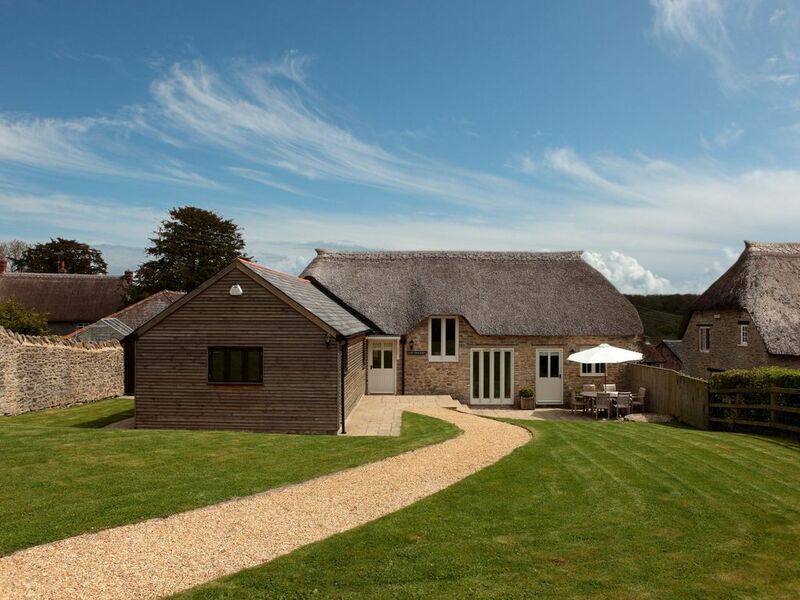 The Barn was well furnished and equipped and, in a great location not far from a main road that would take you to Dorchester and Yeovil but also, tucked in a small village that offered peace and seclusion. The fact that such good accommodation accepts pets is a bonus and the garden is totally secured for dogs which is a great comfort. The main bedroom (with en suite) is such a good size that it did make us question why there wasn't a bigger bed as the room could take it and then would have taken the property to 100% perfect in our opinion!! That said, we are considering re-booking! Thank you for your review, I am so glad that you enjoyed everything that East View Barn has to offer. I believe that my manager is going to be reviewing the bed size for the master bedroom in the future. I hope to be able to welcome you to one of our cottages again soon. This is our second visit, everything was as we remembered. Very comfortable and clean throughout. Some lovely walks from the doorstep. The children ended splashing about in the ford in the village. Am sure we will be back again. Thank you. Thank you so much for your kind review. We look forward to welcoming you back to any of our cottages. Garden furniture and umbrella provided during summer months. No barbeques permitted due to thatched roof. Bed linens and towels changed on middle Friday of 2 week stays. Heating included (electric underfloor heating throughout and gas fire).